Over 40 years of capactiance experience stands behind the 2852-FCM Foam Control Monitor. The sensing probe is tuned to the normal operating conditions of the gaseous or air phase in your process. The intrusion of foam around the probe will cause a capacitance change that is monitored by the remote controller. Variations in foam levels will result in a proportional output. 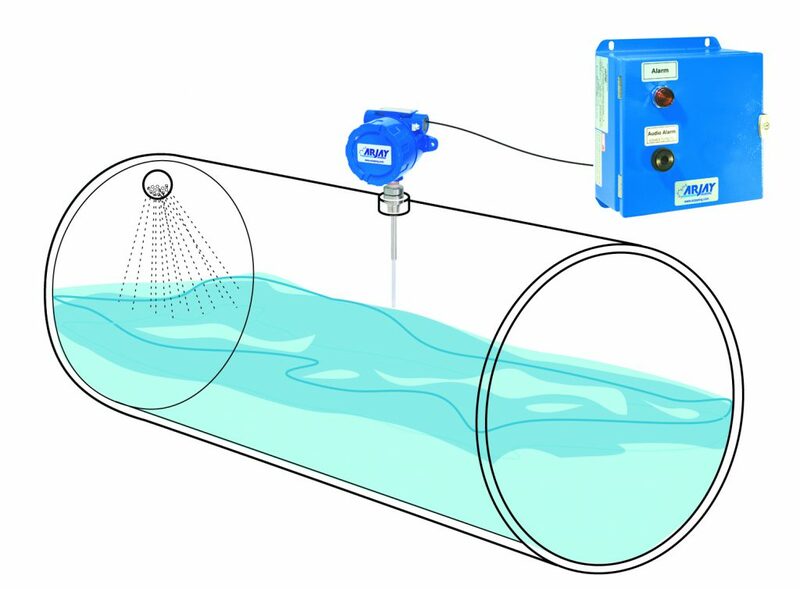 Typical applications include free water knock-out (FWKO) systems, gas phase separation, pre-compressor main-fold protection, and wastewater treatment facilities. The unique Arjay pulse module circuit makes this unit ideal for foam suppression, interface and control. The 2852-FCM sensing probe monitors the capacitance field around the probe within a shield, tank or pipe.